It's gotten so bad that reporters, so called, now no longer realize when they have a story on their hands. This is to be expected, one imagines, when reporting now is really only so much dictation with standard liberal bromides thrown in as though somehow constituting original thought or analysis. Of course, what Minnesota media does not cover constitutes its real scandal, its real abdication of responsibility. MPR's Catharine Richert had a remarkable story concerning that antiquated, sclerotic beast from the hay day of squish "campaign reform" circa mid to late 1970's (with all the horrors that implies), the Minnesota Campaign Finance & Public Disclosure Board: its real name! How does such a thing continue to exist but for the fact it's in Minnesota? Richert's ostensible subject in her piece was the Board's broader contribution and disclosure proposals because these are your legislatively appointed mandarins who will parcel out political speech freedom to you earnest Scandahoovians of Minnesota. Thank the man. Don't color outside the lines. The CFB should barely exist but that for another time. "But Lugar said asking a lawmaker's spouse to say more about their financial interests, for instance, would be 'a bit of an imposition.'" I know liberals are credulous, except when they're not, still, did nothing strike Richert as amiss in this statement? Really, "a bit?" Lugar should have gone all out Brit and said: "it's a terrible spot of bother" upon which one presumes Richert would have fainted until brought round again by hearing, then watching, angst-filled, another episode of Downton Abbey run during pledge week. Realize what is happening: the CFB is deflecting, or being true to its nature, one is never really sure because it isn't, to imagined problems arising from out of state spending in Minnesota races (the most xenophobic state in the nation, Minnesota). These are Board invented problems trotted out in the hope of more funding from a legislature that now more demonstrably exhibits their own barely concealed political preferences. There is absolutely no empirical evidence this out of state money argument is true but don't look for that question to be asked. 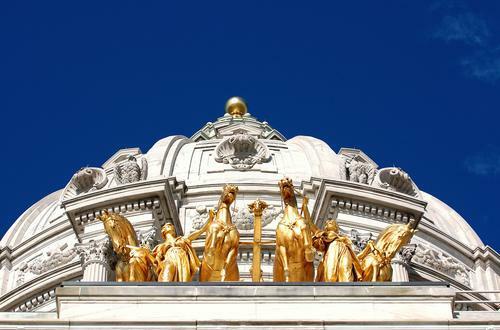 Dutifully, as if in an interview appointment, the Board's entire world view of money in politics, money in Minnesota politics and, indeed insufferably, politics in general is recorded by Richert. You won't find a single question, let alone penetrating, in the piece. Welcome to MPR. At least as it reports on its own team. I'm going to make this brief in the hopes of getting a jump on my New Year's resolution to write more frequently (if I can) but more briefly, which is to say briefly. I have my doubts. The CFB is making a number of proposals to the legislature. I'm not sure that's their job and if I can't find statutory authority for it expect a complaint at the Office Of Administrative Hearings. Hey, Mike Dean, formerly of Common Cause Minnesota, are you with me so far? Because I know they have the interwebs in Wisconsin plus half of Minnesota would move there if they could. We're told process items in Richert's piece but not substance. Most conservatives would not agree that money per se is the or a problem in politics. Still, if you have to move forward on that tangent would not the immediacy of a lawmaker's family make some sense to you with respect to corruption? Is it true you liberals have read almost no history? It would be of a piece with your profound misunderstanding of human nature, which is mostly horrid. Progressives think government can perfect us. Surely some of you must be smarter than that? At any rate, I would require more financial disclosure of lawmakers' spouses than the CFB is willing to request. Any corruption would show up there first. A priori. But the Board will not recommend that. Why is that? Because the Board stands as its own indictment as to the foolishness of its mission. It is seeking more money from those who control its purse strings in the hope of pursing those things it regulates which will not hurt those who give it money. MN Republican Legislators: Paralysis As Policy?